Here in Western Massachusetts it has been HOT these last few days. On nights like these it is too warm to use the oven or stove so we always cook outside. 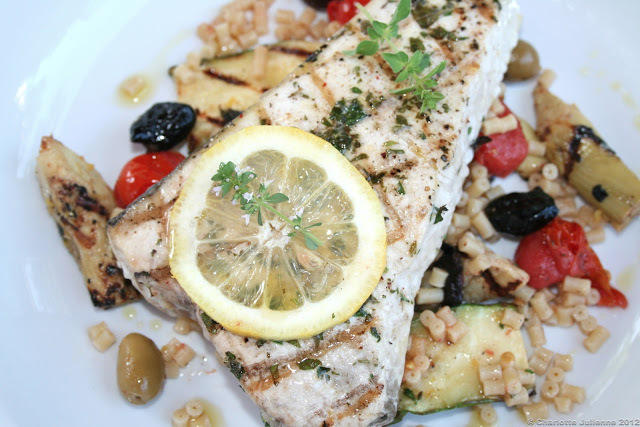 Last night we opted for swordfish on top of a Mediterranean salad. It was simple, refreshing and so scrumptious! We began by picking a handful of herbs from our raised beds which surround our little patio. Putting in the raised beds was one of the best decisions we ever made. We have filled them with herbs and we go to them nearly every day in the summer. This mixture contained rosemary, thyme, parsley and a touch of oregano. We skewered some grape tomatoes and tossed them in olive oil, salt and pepper along with the herbs, artichoke hearts and zucchini. 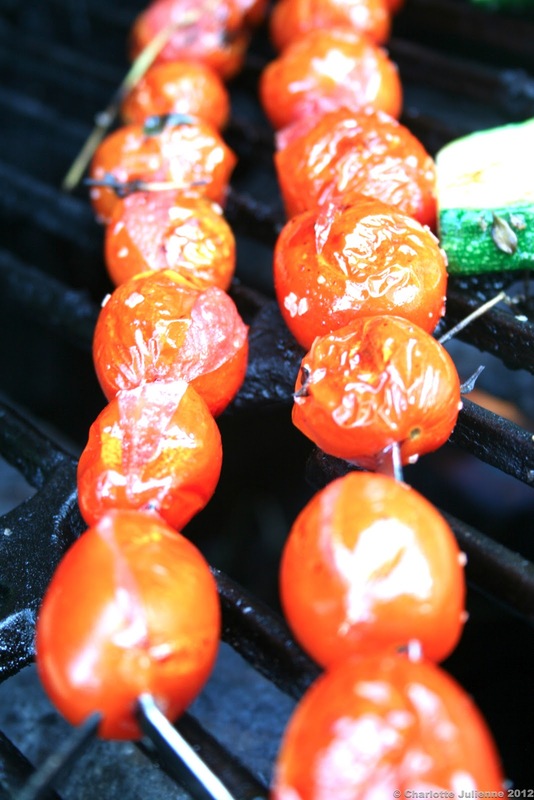 All of the veggies were placed on the grill until they began to char. 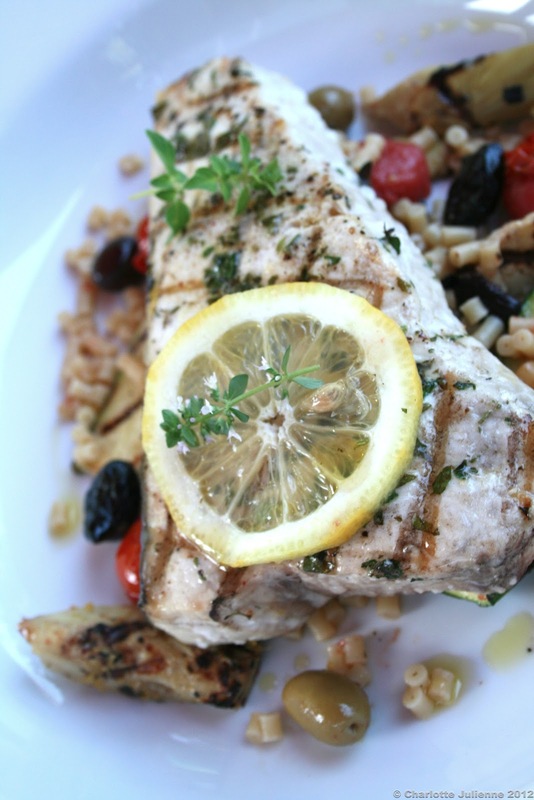 We marinated our swordfish steaks in olive oil and a little herb rub. When the vegetables were done we tossed them in a large bowl with some lemon zest and olives. This mixture was then added to a big bowl of tubettini pasta. We drizzled it all with more olive oil and then placed the fish on top. There is nothing necessarily special about this dinner but it is simple and refreshing. So nice on a very hot summer’s night to be able to enjoy good food with so much flavor.